BUTUAN CITY, Feb. 4 – Government agencies in Caraga region have expressed their continuous support to the programs of the Technical Education and Skills Development Authority (TESDA). 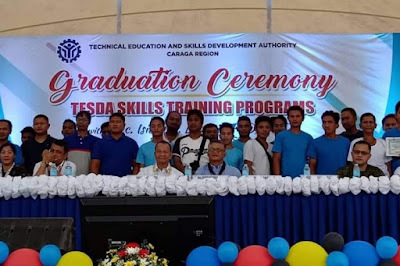 During the graduation ceremony of the 477 trainees of the TESDA Skills Training Program held Wednesday in Agusan del Sur, key officials of the different government agencies gave their support to the agency in the presence on TESDA Secretary Isidro S. Lapeña. Donald Seronay, assistant regional director of the Department of the Interior and Local Government (DILG)-Caraga said that since the inception of TESDA in the region, DILG has been regularly supporting the programs of the agency. “This is because we have seen the impact of the trainings to the Caraganons, giving them the opportunity to develop their skills and be productive society,” Seronay said. PCInsp Venus Cale of the Philippine National Police underscored that TESDA has been their regular partner in the conduct of Community Operations for Peace and Development (COPD). “With the partnership that PNP and TESDA has, we were able to conduct COPD to conflict-affected areas in the region,” she said. Meanwhile, Agusan del Sur Board Member Santiago Cane said that for as long as TESDA will continue to create programs for his constituents, the provincial government thru Gov. Eddiebong Plaza will always support the agency. 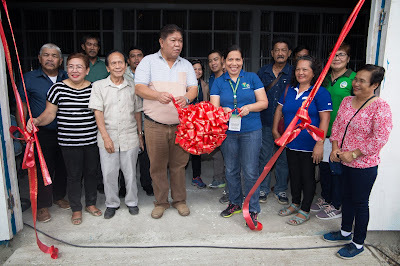 “While TESDA-Caraga through the leadership of regional director Florencio F. Sunico, Jr. is implementing programs to equip Agusanons with skills, we at the provincial government are always here to back TESDA up,” he said. NASIPIT, Agusan del Norte, Feb. 4 - The Department of Agriculture-Philippine Rural Development Project (DA-PRDP) led by Deputy Project Director Jodel Tabada turned over the Php33.9 Million completed rehabilitation of Culit Communal Irrigation System (CIS) in Nasipit, Agusan del Norte to the Culit-Kinabjangan Irrigators Association on January 30. The improved and expanded CIS covers an influence area of at least 100 hectares mostly planted with rice benefits 140 farming households. “The members of the association are grateful since all of the rice areas they have can now be watered,” said Pausto Empanado, Jr., President of Irrigators’ Association. Empanado shared that the service area before can only reach up to 20 hectares since they were just relying on earth canal. The potential service area was less utilized and farmers were just growing grass and plants to feed their goats, pigs, and cows. “Now that the irrigation is completed, we want to utilize the potential service area of the project. We will prohibit the animals to stay and lay down in the irrigation canals. This is also our way of preserving the project,” said Empanado. 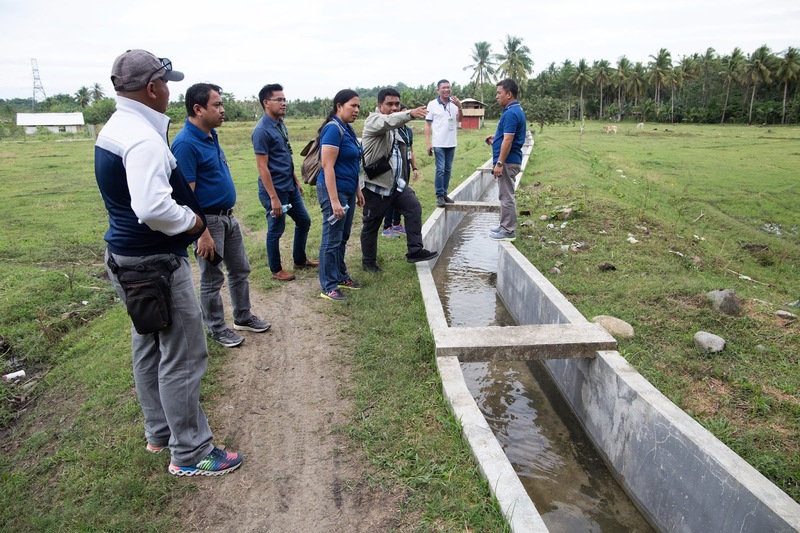 The municipality hopes that rice farmers’ production will be increased from 3 metric tons to 4.5 metric tons per hectare through the irrigation project. Lydia Apatan, Municipal Project Management and Implementation Unit Head, said that the project can now provide a steady supply of water per cropping season so the farmers can maximize cropping intensity. “The better production of rice farmers also means an increase in income which they can use for their farms and expenses for the family,” said Apatan. Mayor Enrico Corvera said that the counterpart of the local government will surely reap better returns. “This project required us a big amount as a counterpart, but the local government is confident that this will result in an increase in local revenue,” said Corvera. DA-PRDP requires a 10 percent counterpart from the provincial or municipal local government where the infrastructure project is implemented. 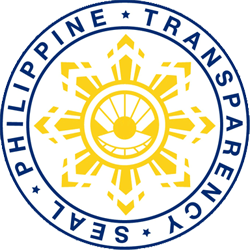 The 80 percent of the total budget is coming from the World Bank and the other 10 percent is from the government of the Philippines. BUTUAN CITY, Feb. 4 - Secretary Isidro S. Lapeña of the Technical Education and Skills Development (TESDA) on Wednesday told graduates of skills training in Agusan del Sur to spread the good news to their relatives, friends and townsmen on the achievements they have. Speaking before the 477 graduates of the different skills training programs in the province of Agusan del Sur, the official enjoined the graduates to inform the public that they are now one-step closer in reaching their dreams. Lapeña emphasized that good things happened during the conduct of the different trainings must be shared so that those who will hear it will be encouraged to take and enroll TESDA courses for free. 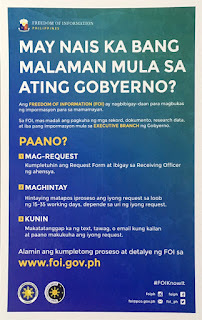 “May mga scholarship programs naman po tayong ini-offer. May scholarship program pa like the Private Education Students Financial Assistance (PESFA) na may allowance na ipinamimigay (There are scholarship programs that we offer. We have a scholarship program like the Private Education Students Financial Assistance (PESFA) where allowance is given),” he said. Lapeña added that after finishing the training, the graduates will be given an opportunity to find a job that may extract their family from poverty. The TESDA chief also informed the graduates that they may also come to TESDA to ask for help on where they can find a job that suits the skills they acquired.